I have come up against this issue a couple of times recently, so I thought it was worth explaining. The question is; How can I predict which HSL/RGB colours will export from Revit to AutoCAD correctly, especially when I have created colour fills for my floor plans? In reality it’s not a predication! At present Revit is limited to the standard 255 ACI colours when exporting to AutoCAD, this is a limitation of the DWG export. 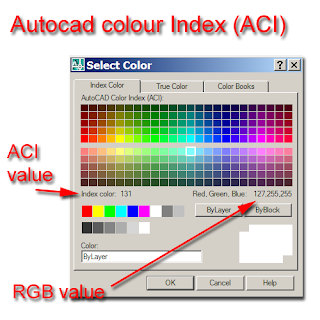 Therefore, you will need to make sure that the RGB colours you are using in Revit, match the ACI colours of AutoCAD so that you get a 1 to 1 translation. For instance white in ACI has a hexadecimal value of FF FF FF, which is colour 255 in AutoCAD or an RGB colour of 255,255,255. This webpage http://www.xanadu.cz/ftp.asp has smart utility for download called ACAD COLOR RGB-ACI CONVERTOR (EXE). 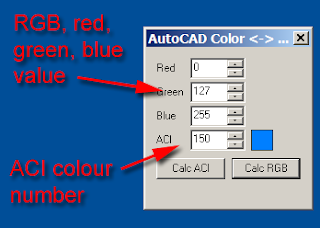 If you plug in the AutoCAD ACI numbers you will be able to get the equivalent RGB value, this avoids fighting your way through the AutoCAD colour dialogue box. 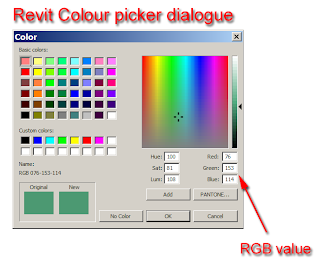 If you then set up the RGB values in Revit to match the same ACI numbers, you will get the output you are looking for. When you do export from Revit to DWG, also make sure that you enable the following setting into the DWG options; this will ensure that the colours get translated correctly. This will work fine, the room colour fills will export correctly back to DWG, but if your view includes a colour fill legend, this ends up screwy as it fails to export the colours correctly, as the colours in the colour scheme legend do not match the room colours, lets hope Autodesk are aware of this! 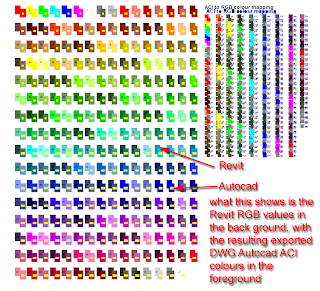 The image below shows the resulting colour fills exported from Autocad and overlaid on top of the Revit colour fills. You will notice a few shades are slightly out, but on the whole its correct.